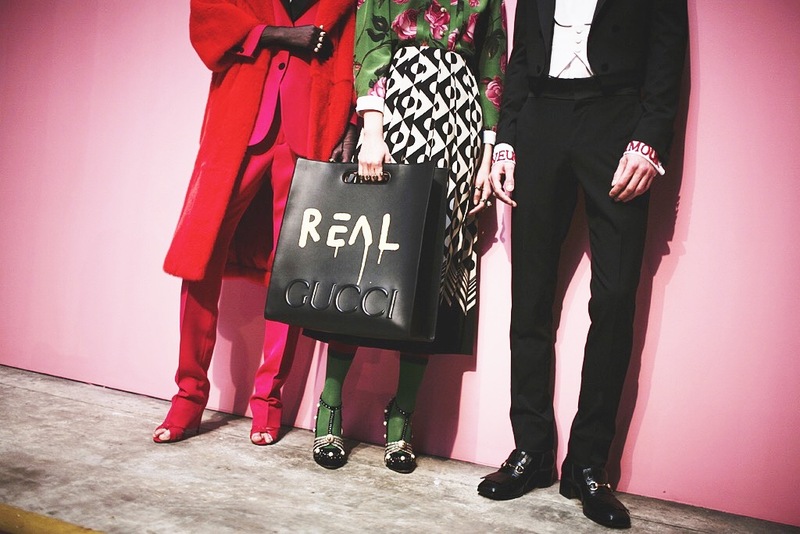 When I look at the Gucci Real bag that Alessandro Michele created for the label’s 2016 fall collection, I am reminded that a little satire goes a long way in this mad, mad world of fashion. To shake things up, the new creative director for the label tapped the talents of graffiti artist, Trouble Andrew, to lend his artful hand to bags, skirts, and outerwear for their Gucci Ghost collaboration. “Trouble Andrew is as much as Gucci as the brand is, the way he uses the logo of the company is by taking it to the streets, it is interesting how our language, started by a family in Florence nearly 100 yeas ago, can be something very contemporary,” said the label’s new creative director, Alessandro Michele, on Gucci’s Instagram page. This is the second time the label has worked with a graffiti artist to add a bit of street cred to an otherwise very buttoned up aesthetic. And it is partnerships like this one that really get the fashion set excited about what is going on in the industry. This is also why I don’t expect this melding of cultures to be the last for a label that has set out to show the world that it is still here, and still thriving.